Welcome to Chalet Appartements Simonazzi in Völs am Schlern! 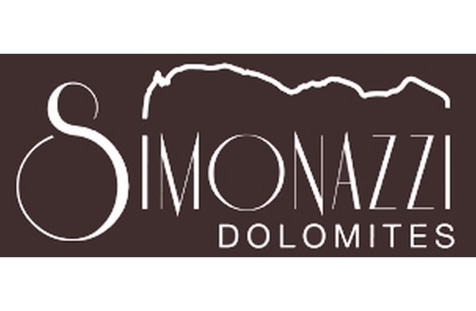 Our completely renovated Chalet Appartements Simonazzi is situated in the picturesque village Völs am Schlern near the famous Alpe di Siusi. From our apartments with modern design, you may enjoy a beautiful panorama over the Dolomites. 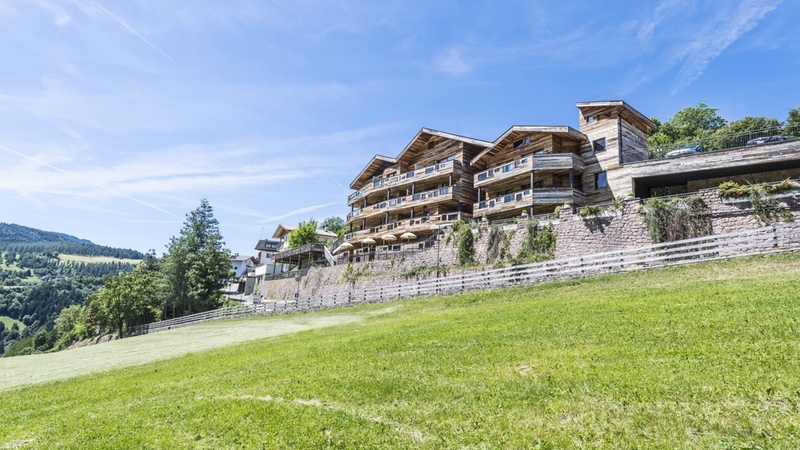 Our Chalet is located only 150 m from the village’s center and represents an ideal starting point for magnificent hikes and exciting holiday activities during the entire year. Our guests are offered three different apartment types (2-6 people), which are all comfortably equipped and furnished in the modern Dolomites style. The all have a balcony our terrace with a beautiful panorama over Schlern, a fully equipped kitchenette with dishwasher, one or two separate bedrooms, one or two modern bathrooms, WLAN, a safe, satellite TV, bed, bath and culinary laundry and much more. You may relax on our panoramic terrace with sun loungers and solar-heated swimming pool. A wellness area with Finnish sauna, Turkish bath, infrared cabin, tropical showers and a relax place is also at your disposition. In our house, domestic animals are allowed with notice in advance. On request, we offer a washing machine, a laundry dryer, children’s beds and a garage. In the environs of Völs am Schlern, you are expected by unforgettable hikes surrounded by the marvelous scenery of the Dolomites all over the year. During the summer holidays, you should take a bath in the Völser Weiher, undertake mountain bike and alpine tours or visit Castle Prösels. In the environs, there are also tennis courts. In winter, a free shuttle bus takes you to the skiing area Alpe di Siusi. Moreover, other outdoor activities are ice skating, cross-country skiing, sledging and snowshoeing. COMFORT (2-4 Persons) TYP A ALL APARTMENTS WITH ANY COMFORT The apartments offers a marvellous view to the house mountain Schlern. Apartments for 2-4 persons Surface 50 – 55 m² – They are equipped with one bedrooms – 1 living space with Sat/TV – internet wireless access – safe – phone – double bed-settee – dining area – completely equipped kitchen or kitchenette – bath with shower/WC/Hair dryer – bed bath laundry and culinary laundry – terrace with marvellous panorama. All the apartments are new or renovated. Completely new in our house is the finnish sauna, the steam bath, the event-shower and the room to relax with panoramic view. A washing machine (it works with coins) and a dryer is at your disposal. CHALET (2-4 Persons) TYP B ALL APARTMENTS WITH ANY COMFORT The apartments offers a marvellous view to the house mountain Schlern. Apartments for 2-4 persons Surface 50 – 55 m² - They are equipped with bedrooms - living space with Sat/TV - internet wireless access - safe - phone - double bed-settee - dining area - completely equipped kitchen or kitchenette - bath or shower/WC - bed bath laundry and culinary laundry - big balcony with marvellous panorama. All the apartments are new or renovated. Completely new in our house is the finnish sauna, the steam bath, the event-shower and the room to relax with panoramic view. A washing machine (it works with coins) and a dryer is at your disposal. CHALET (4-6 Persons) TYP C ALL APARTMENTS WITH ANY COMFORT The apartments offers a marvellous view to the house mountain Schlern. Apartments for 4-6 persons Surface 60 – 70 m² – They are equipped with two bedrooms – 2 bad rooms with shower and WC – living space with Sat/TV – internet wireless access – safe – phone – double bed-settee – dining area – completely equipped kitchen or kitchenette – bath or shower / WC – bed bath laundry and culinary laundry – balcony with marvellous panorama. All the apartments are new or renovated. Completely new in our house is the finnish sauna, the steam bath, the event-shower and the room to relax with panoramic view. A washing machine (it works with coins) and a dryer is at your disposal.